A device with Wi-Fi certification for its M1810F6G model number was recently listed on the Wi-Fi Alliance portal; reports claimed that it was the Redmi Y3. However, using a combination of analysis, Wi-Fi certification, TENAA listings and internal sources, XDA Developers has found out about the existence of eight distinct model numbers in the M1810F6 lineup, one of which is the M1810F6I (onc_india) Redmi 7 (India). It looks like the device listed as the Redmi Y3 will be rebranded as Redmi 7 when it comes to India. The smartphone will run MIUI 10 based on Android 9 Pie. The listing also tells us that the Redmi Y3 will support only the 2.4GHz band for Wi-Fi. This is a hint that Xiaomi is aiming for the budget sector with the Redmi 7- perhaps the sub-10k segment. 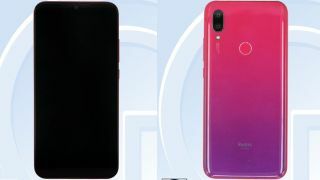 The specs of the Redmi 7/Y3 are still a mystery, but Xiaomi is expected to upgrade from the Y2's Qualcomm Snapdragon 625 to at least 632 or 636, if not a Snapdragon 660 SoC. Like other Xiaomi devices in the segment, 3GB or 4GB of RAM and 32GB and 64GB options in terms of storage can safely be expected.